Moving companies are not created equal. When you are moving in the Santa Clarita area, you want to hire someone local for help. Fastruck Moving - Valenica Branch is a professional and affordable full service moving company. Our company can handle every aspect of your move from loading, unloading, transporting and even the temporary storage of your items. 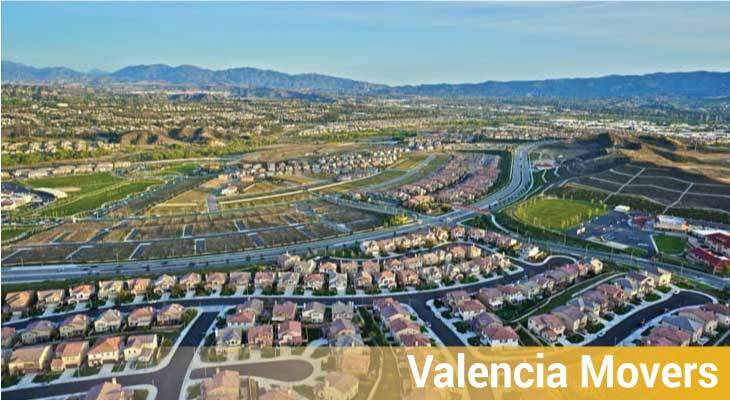 Valencia movers serve adjacent areas of Stevenson Ranch and Newport Ranch as well. We have serviced thousands of households in Valencia, and Santa Clarita in general, and made few observations. Most of the beautiful newer constructions are multi-level, with not so convenient stairwells. For houses like that, we recommend you to hire at least 3 movers, in order to make the moving process as efficient as possible. Please, let us know how many rooms you've got, and we will make an expert suggestion on the optimal number of movers you would need. When you are looking for Valenica movers, you want someone you can count on. Resources like Yelp and Google Local echo the happy voices of our satisfied customers. Compare us to other moving companies, and you will soon see that not only are we courteous and experienced, but we are also competitively priced. You want Valenica movers who are licensed and insured. Fastruck Moving is a company you can trust. After all, you are moving your entire life from point A to point B. You have to be able to have confidence in the company who's transporting your precious items. It is important to shop around and compare moving companies. For license information California Public Utilities Commission (CPUC) is the first instance to visit to check upon the status of credentials. For out-of-state moving companies Department of Transportation website might elicit information about the license and compliance. Fastruck Moving Company – Valenica Branch is your top choice when it comes for local or long distance moving. Make a stressful process less painful by hiring one the best moving companies in the area. We service residents of Santa Clarita Valley on the daily basis, and familiar with the area. Our crews will not get lost en route to your house, nor while driving to the new location. We have plenty of testimonials online to back our quality promises.